Gadgets nowadays are a part of our lives. Whether we talk about smartwatches, smartphones, or tablets, we all own at least one gadget, that was meant to make our lives easier. For those who earn their living by drawing, there is a good news: there are two new graphics tablets coming to the market soon, both delivered by Huion, a Chinese manufacturer. Both models were created with graphics in mind, but they are not quite similar, in fact, they are parts of two totally different price categories. 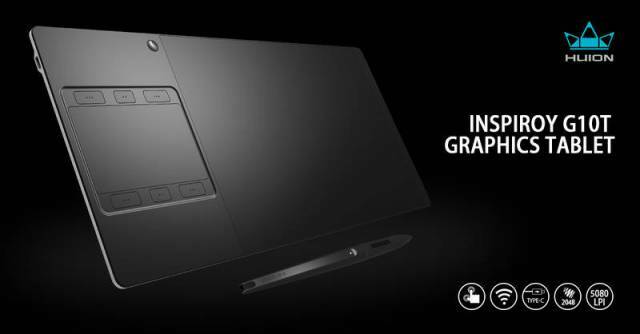 The more affordable graphics tablet delivered by Huion is the INSPIROY G10T. The device has a futuristic design, with an aluminum alloy chassis, a thin body and some seriously inspiring, minimalistic lines. This particular tablet offers separate areas for pen and multitouch. 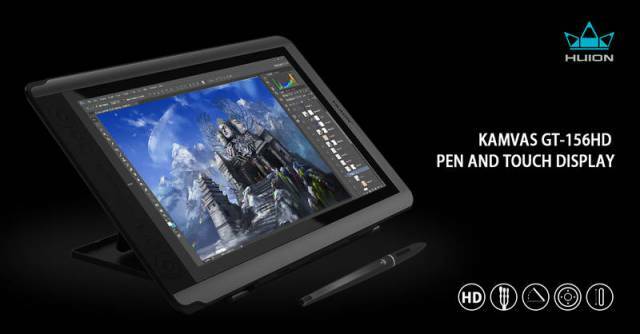 The tablet features six customizable Express keys, and it comes with a pen that offers 2048 levels of pressure sensitivity. The device features 5080LPI touch resolution, and it is equipped with a 2500mAh battery that is able to ensure up to 40 hours of run time. Of course, the G10T also offers wireless connectivity and a USB Type-C port, making it perfect for work. It is also suitable for people who don’t earn their living in the graphics business but are true drawing enthusiasts. The tablet will be released on October 26, and it will cost $139.99. However, if you would really like to have one, you can already pre-order it for an even lower price, and get it for only $111,99. The other upcoming Huion graphics tablet is a more elaborate one, that is also a lot more expensive. The KAMVAS GT-156HD will set you back $699 after it will be officially released on October 26. It is a higher price, but, naturally, the price difference also means that there are a lot more features the device has to offer. The KAMVAS GT-156HD has a FullHD 15,6-inch screen, it features anti-glare AG glass and frosting surface. The design of the gadget is not as minimalistic as the one of the previously presented tablet, instead, this time around Huion opted for a more modern look with some cool mixtures of black and gray lines. The more expensive tablet also comes with an adjustable multi- angle holder, which makes it a lot easier and more comfortable to use. It is perfect for those who spend most of their days drawing, decreasing the level of fatigue they would otherwise feel after a day’s worth of work. The KAMVAS GT-156HD features 14 Express keys, the same pen with 2048 levels of pressure sensitivity, and a three-in-one cable, which successfully combines HDMI, Power, and USB. Just like its sibling, the Kamvas is also available for pre-orders for a special price. If you choose to order it before its official release date, you can get it with a 15% discount, for only $594.00. Both tablets support Windows 10, Windows 8, Windows 7, and Mac OS 10.8.0 or above, and they are gadgets worthy of your attention, especially if you are a drawing enthusiast or you work in the graphics business.